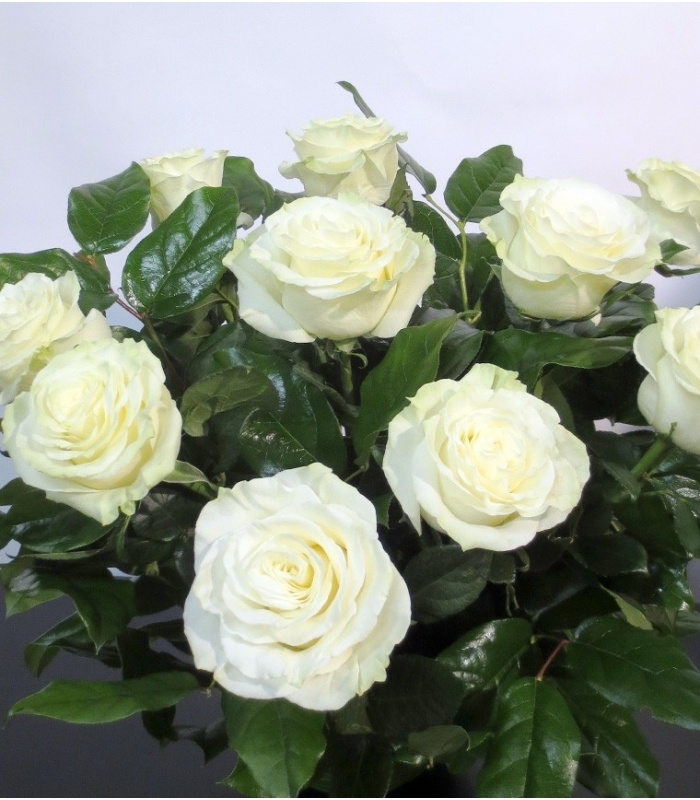 Floral arrangement with ten white roses from the best Equator greenhouses enhanced with salal foliage. The flowers are inserted in a terracotta pot filled with humid floral foam wrapped with a coco leaf, giving it a tropical feel. 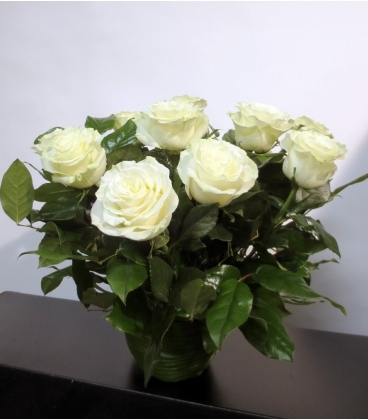 Funeral flowers available for same day delivery to all area funeral homes. Beautiful funeral flower arrangements and condolence flowers, sympathy flowers, sympathy plants, condolence flowers. je vous recommande vivement, vos roses étaient très belles dans notre arrangement de fleurs.